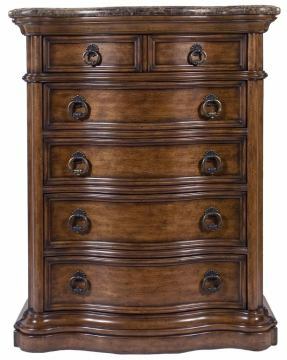 The San Mateo Drawer Chest by Pulaski Furniture is inspired by the sun drenched warm days and cool nights of Northern California’s wine country. 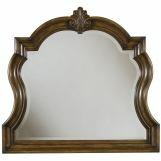 It oozes a relaxed sense of elegance with its stately shapes and elegant features. 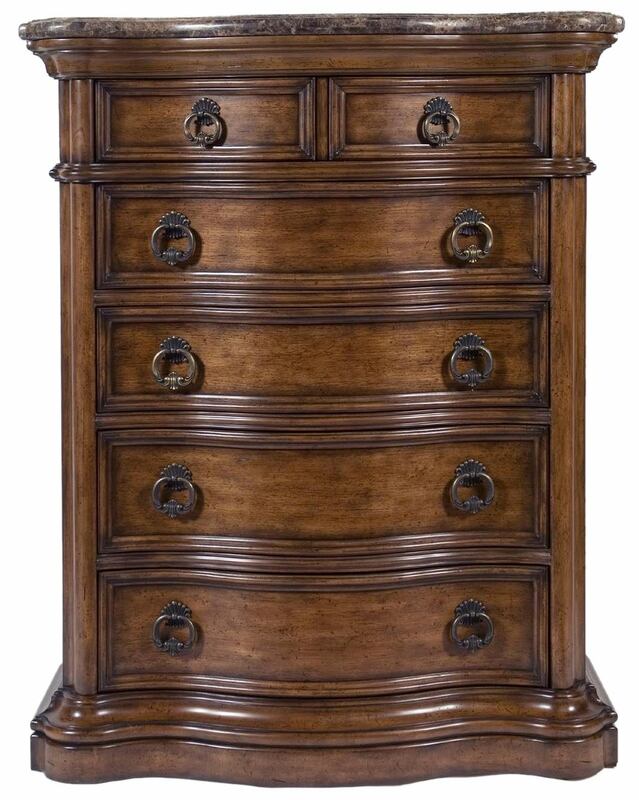 As an unmatched storage piece, it features four drawers and one top drawer with a felt bottom. 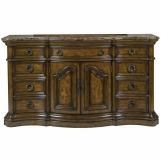 The laminated marble top, intricate moulding and softly flowing shapes add unmatched elegance to this piece. In addition, the drawers have panels between them to maintain a dust free environment. 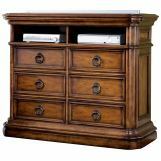 English and French dovetail drawer construction adds stability for longer life to this furniture. 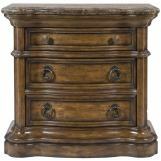 Carved of select solids and pecan veneers, the piece is highlighted by decorative hardware. 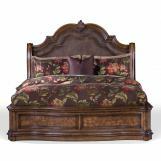 The item is featured as optional and it can be added to the San Mateo Bedroom Set per your request.